Growing attention on concussions in football and the military has highlighted the similarities of brain injuries in soldiers and athletes. But scientists are beginning to discover that while brain injuries do affect athletes and soldiers similarly, military personnel may suffer from additional symptoms specific to combat. Scientists are still teasing out the potential differences between brain damage from combat or sports. A recent study found that there are no pathological differences between the brains of athletes and soldiers diagnosed with the neurodegenerative disease, CTE. And in one recent study, researchers discovered that the blast waves of an improvised explosive device create the same accelerating/decelerating forces as a sports concussion (although the magnitude of acceleration from a blast is much more potent). According to Dr. Ann McKee, a leading neurologist from Boston University, these results suggest that the mechanism of brain injury in both sports and military are related. Despite these similarities, other recent research suggests that blasts damage the brain differently than impact or blunt force. Some scientists believe that blasts compact the effects of multiple concussions into one. A blast from an improvised explosive device can trigger a succession of multiple injuries; the blast wave itself causes the initial injury, followed by additional trauma if the soldier is struck by a flying object or hits their head while being thrown back from the blast.
" One of the essential differences between civilian and sport-type impact mTBI and blast mTBI lies in the fact that in the vicinity of an explosion the soldier's entire body--not only his or her head--is exposed to the blast and interacts with blast effects," explained Dr. Ibolja Cernak, a brain-injury exert from the University of Alberta, who commented on the research in recent article. The blast waves set off a series of patho-biological changes throughout the body that may be one reason why soldiers frequently suffer from chronic pain, gastrointentsinal problems, unstable blood pressure, and olfaction after a concussion. When comparing civlians to soldiers injured in blasts, scientists are also starting to notice subtle differences in cognitive function. 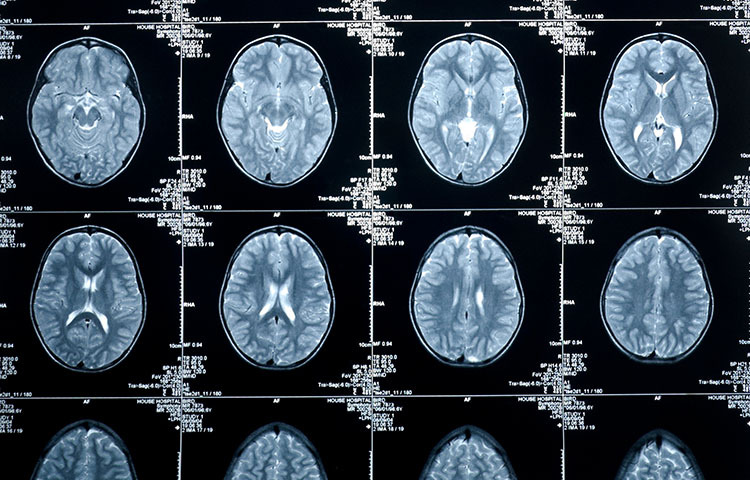 These cognitive differences are rarely detected in normal assessments but are beginning to appear in more sophisticated testing scenarios, according to Dr. Robert Ruff, a neurologist from the Cleveland VA Medical Center in Ohio. Indeed, a new study showed that soldiers with blast TBIs had poorer cognitive scores, worse outcomes, and poorer health than soldiers with blunt-force TBIs. Other recent research suggests that all soldiers, regardless of how they sustained their brain injury, are more likely to suffer from PTSD, anxiety, and depression compared to civilians with TBI. Although more research is needed, these findings suggest that soldiers may need specialized rehabilitation after brain injury. Peskind, et al. Military and sports-related mild traumatic brain injury: clinical presentation, management, and long-term consequences. Journal of Clinical Pyschiatry 2013; 74 (2): 180-188 (doi:10.4088/JCP.12011co1c).